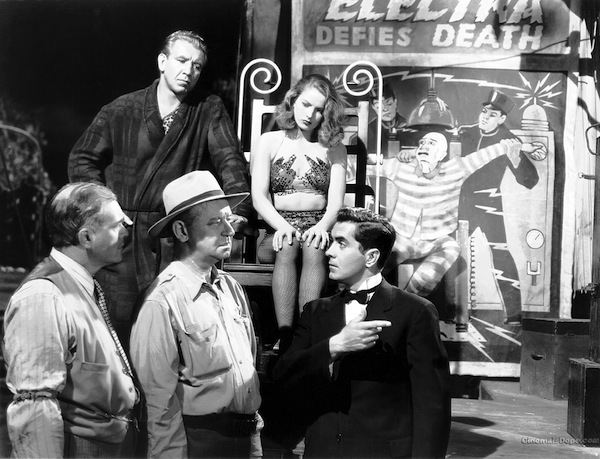 Unlike the Poverty Row gem Detour (1945), Nightmare Alley was a big budget release by a major studio. Exteriors were filmed at a replica carnival with extras from real-life carnivals. The effort pays off in authenticity. 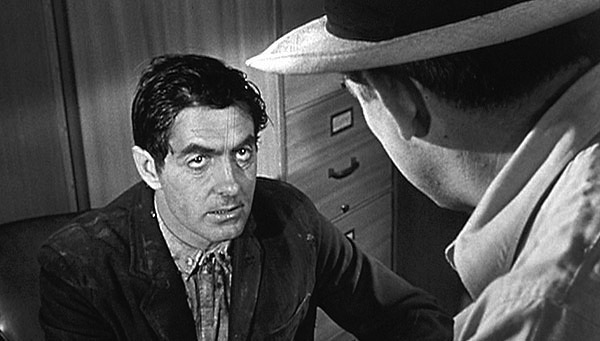 Stan Carlyle (Tyrone Power) is a carnival barker with ambition to spare. 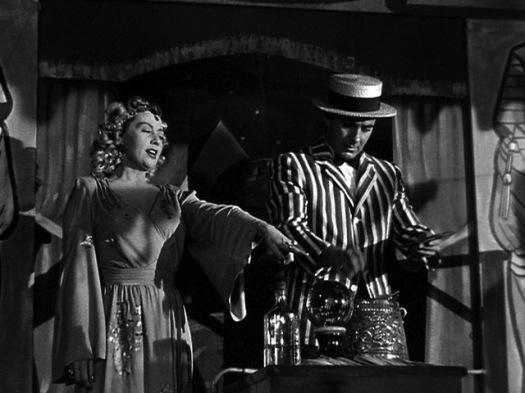 He works closely with the fortune-teller Zeena (Joan Blondell). She’s married to Pete, a chronic drunk who’s only saved from the fate of carnival geek because of Zeena. They developed a mentalist code system that took them to the big time. Pete couldn’t hack it and now they’re back. 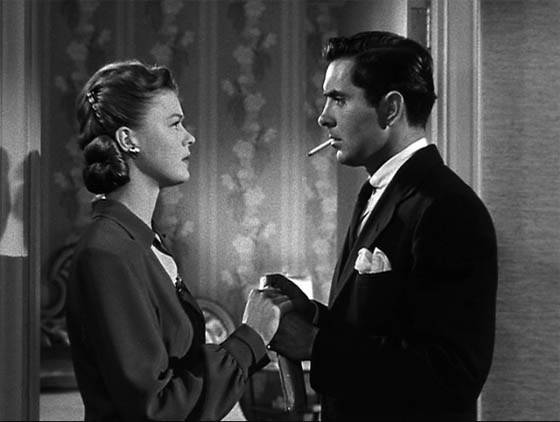 Enter Molly (Coleen Gray) who has an act with strong man Bruno (Mike Mazurki). Gray was about twenty-five and looks even younger with the perfect gamine beauty for the character. When Stan masters the code, he sets out on his own with Molly. But wait. On the road to success, Stan meets Dr. Lillith Ritter (Helen Walker), a femme fatale with a psychology degree. She’s possibly the most evil woman in the noir universe. Sure. I know what a geek is. It’s one of Power’s greatest roles and the supporting cast, including many veterans of stage and screen, is uniformly excellent. Edmund Goulding directed from a screenplay by Jules Furthman based on the novel by William Lindsay Gresham. Lee Garmes [Shanghai Express, Scarface (1932)] did the exquisite black-and-white cinematography. 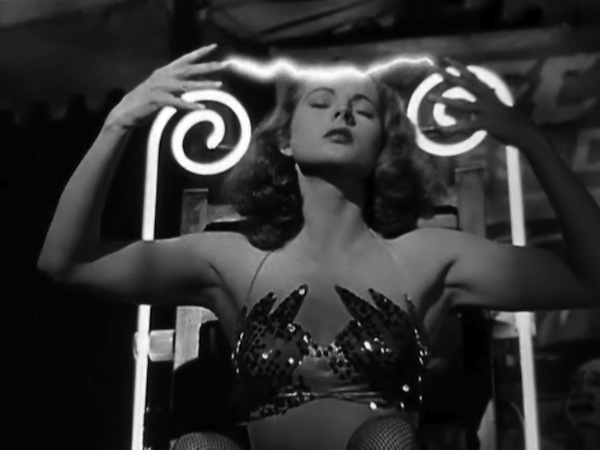 Nightmare Alley was out of circulation for many years and was the one of the most sought after noir titles before being reissued on DVD.